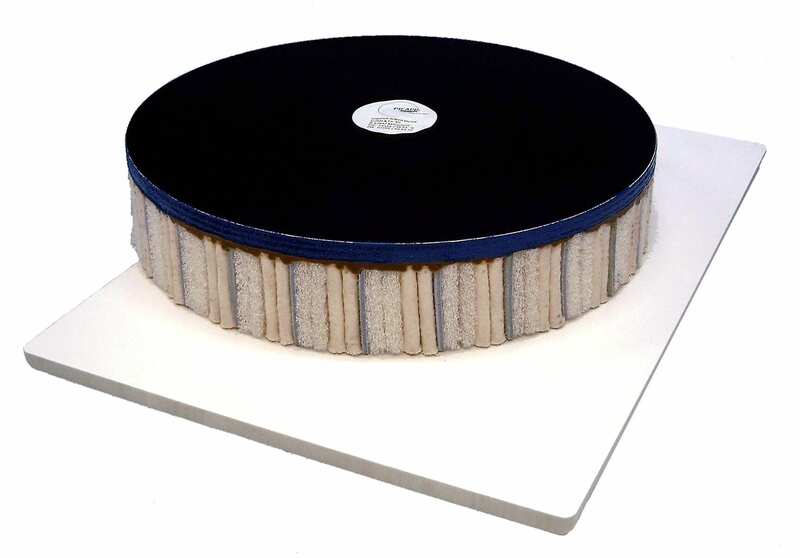 Combination plates are manufactured with vertical slats and can be made of different materials (cotton fabric, sisal fabric, various leather qualities, polyamide fleece, etc.) depending on the application. The arrangement of the slats can also be varied. 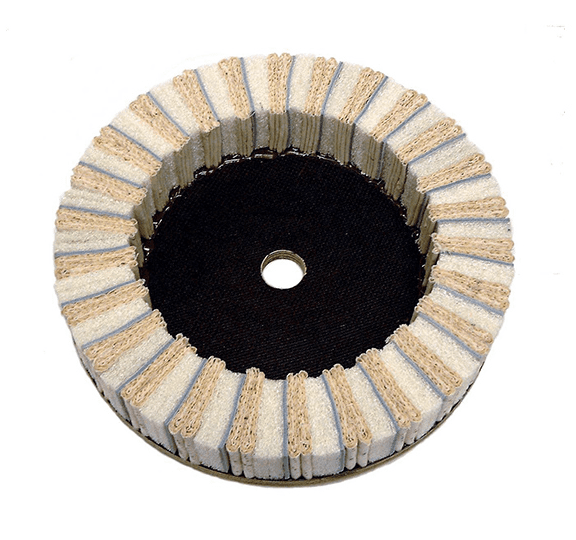 Combination plates are used to remove residues of hot-melt adhesive and to polish the edges of a wide variety of materials. 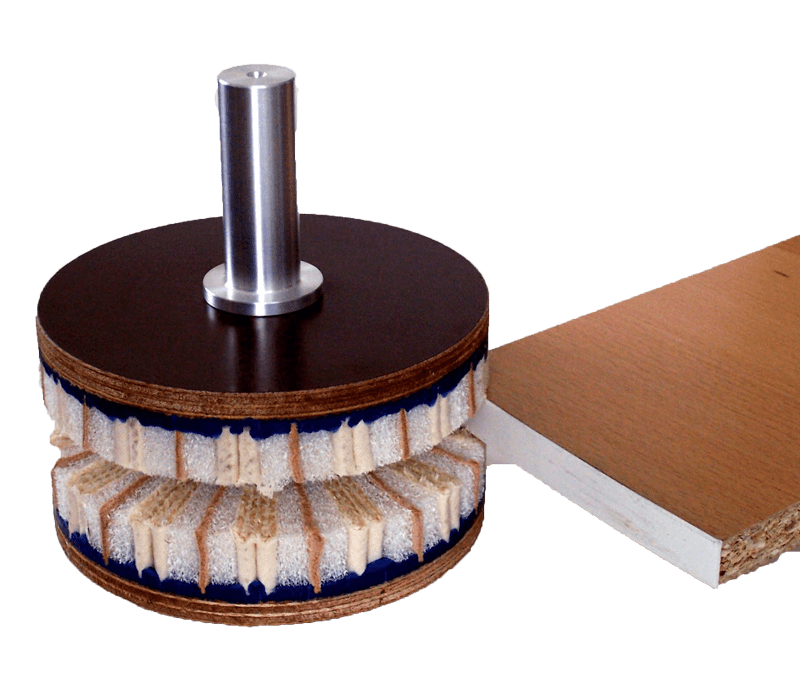 In addition, combination plates can be used on foil-coated furniture fronts, for example, to process the protruding plastic edges and remove the hot-melt adhesive residues. If curved shapes (e.g. desk tops) are to be machined with a CNC machine, the use of a combi-disc in the adjacent version is suitable. The upper and lower sides of the furniture parts are machined simultaneously.